Officially incorporated in March 2014, arborist company RoyalTree Ltd is the product of an undying passion for quality tree care combined with a decade of industry experience within New Zealand and around the world. RoyalTree is owned and operated by Queenstown local Jimmy Carling. Specialising in the field of arboriculture, RoyalTree handles all types of tree related tasks. From planting champion trees of the future, managing existing species by means of pruning, to removing the largest of them all by felling or dismantling. If it’s woody and it grows – we’ve got it covered. We are, quite simply, your first stop for all things tree related. 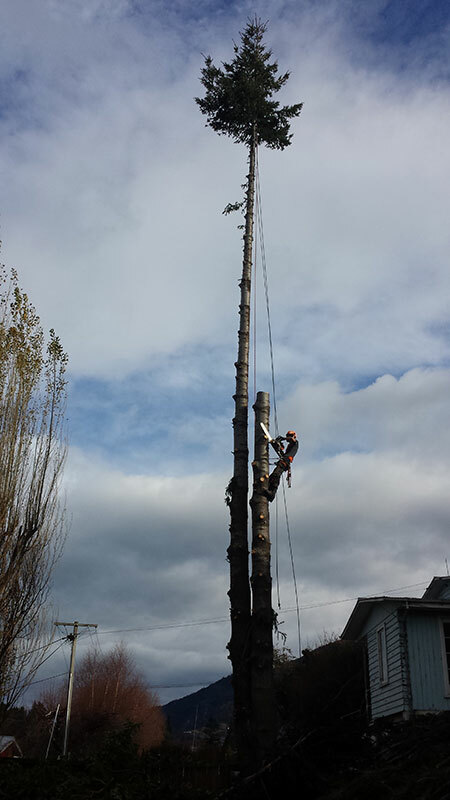 We are committed to employing and working with only the finest arborists. We place great emphasis on professional development so that our staff have the required knowledge and skill to carry out operations safely and effectively. We are a QLDC approved contractor and have comprehensive health and safety procedures to ensure operations run smoothly and without fault. We also carry full public liability insurance. Our mission is to educate our clients about trees in order for them to make sound, quality and well thought-out decisions. By implementing good practices, your trees can become assets that outlive generations to come, adding both amenity value to surrounding areas and financial value to land and property. In addition, RoyalTree is proud to be supporting kiwi ingenuity through our woodchipper manufacturer Hansa. Entirely NZ owned and operated, the Hansa story is a classic tale of a small kiwi company holding their own in a market dominated by it’s American rivals.